As early as the last century almost all eyeglasses were round. Until glass cutting became more wide spread if you wore glasses then chances were that they would be round. Once other styles started to be introduced the popularity of round frames disappeared and has only appeared sporadically since. However they are back in a big way! Demand for round frames is huge right now and seen as extremely stylish! The staff of Texas State Optical – Museum District wants to help you find the perfect pair of round frames for your face! If you have been looking for that perfect pair of round glasses we have plenty to choose from. A rounded frame can show simplicity and class as well as having a vintage feel to them. They are a great way to make a subtle style statement while still keeping it clean and professional. There is also a frame that is more semicircular than being an actual circular frame. These frames follow more the shape of the eyebrow at the top before curving into a circular shape on the sides and bottom. These are flattering on a number of faces and are found to be extremely comfortable as well. If you have been searching for a pair of semicircular lenses but don’t know where to start or if your prescription would work well with the shape please don’t hesitate to call and speak to one of our opticians at Texas State Optical – Museum District. We would be more than happy to help you find that perfect pair! 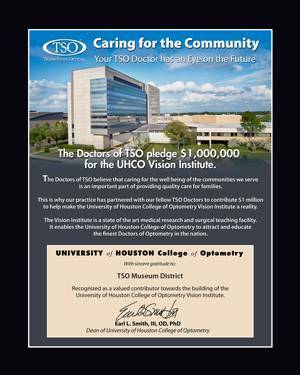 Our staff at Texas State Optical – Museum District includes licensed optometrists and knowledgeable and caring opticians who strive to make sure that your prescription glasses are made with only the best quality. We want you to be able to count on us to get the best prices on your prescription designer frames while still getting the care you deserve. If you aren’t sure about which shape will go best with your face we can definitely help find you the perfect pair.